My shadowy but sensational small press Dark Park Publishing has released its first ever genre anthology, edited by yours truly, available exclusively on Amazon in Print and eBook formats. 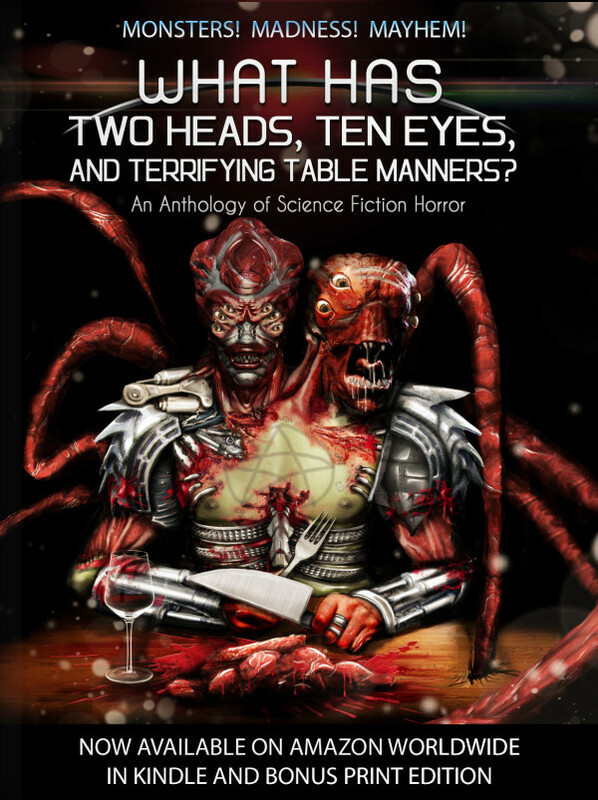 In the tradition of movies like Alien, The Thing, Event Horizon, Invasion of the Body Snatchers, and Phantasm, WHAT HAS TWO HEADS, TEN EYES, AND TERRIFYING TABLE MANNERS? 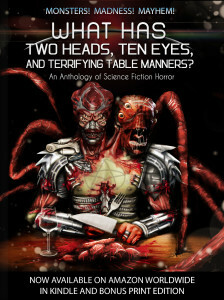 features more than a dozen never-before-published short stories that mix Horror and Science Fiction elements. These original tales, written by some of the best new genre authors from across the globe, range from the horrifying to the humorous, the cerebral to the surreal. All are devilishly entertaining. **Bonus story available only in Print Edition. Follow @DarkParkPub on Twitter for the latest book updates.